As trusted SAP resellers and SAP Gold Partners, we sell best-value licences for enterprises and SMEs – contact us to buy SAP BusinessObjects licences with supporting services that guarantee maximum returns. SAP BusinessObjects Enterprise Licences: enterprise-grade SAP BusinessObjects Enterprise is incredibly scalable, allowing up to tens of thousands of users. Licensing models depend on two metrics: concurrent sessions and named users. As well as advising on the optimal selection for your business structure and goals, our team provides a Support and Maintenance Package specifically for SAP BusinessObjects. SAP BusinessObjects Edge: mid-size companies can choose SAP BusinessObjects Edge, a lower-cost licence with similar levels of functionality to the full SAP BusinessObjects Platform. The entry-level price is based on 10 Named Users. SAP BusinessObjects is an integrated suite of BI solutions, including reporting, analytics, visualisations, and data integration tools. 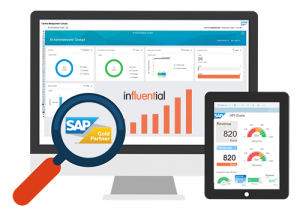 As a long-term SAP Gold Partner, Influential Software offers the most cost-effective range of SAP BusinessObjects licences. As well as SAP licences, our team also offers in-house technical expertise in application lifecycle management, security services, business consulting services, and any other SAP-related service offerings. 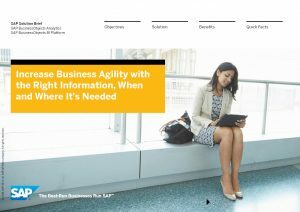 For more details of our SAP BusinessObjects partner services, why not visit our BusinessObjects consulting website?